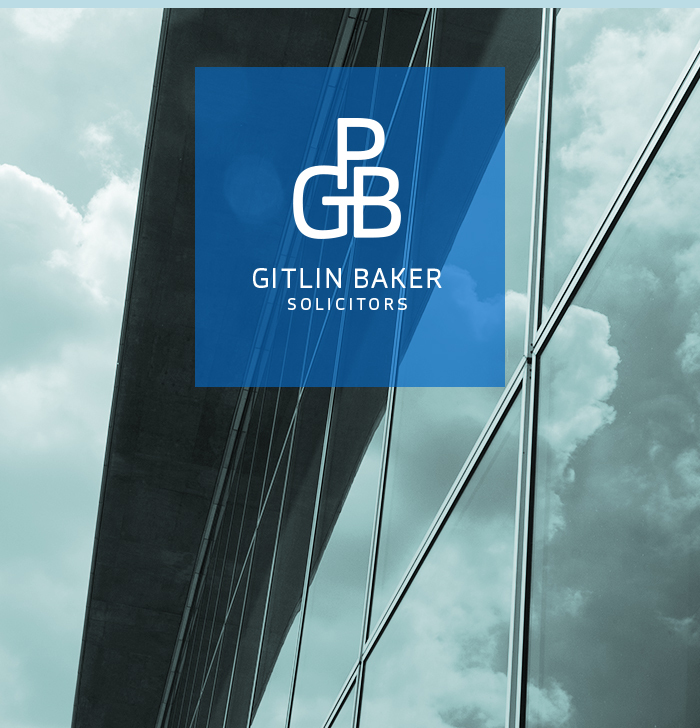 PGB Gitlin Baker Solicitors are a serious firm, providing legal services for the corporate market. The legal sector is very ‘me-too’, using similar images, words and designs. But serious doesn’t have to mean boring. 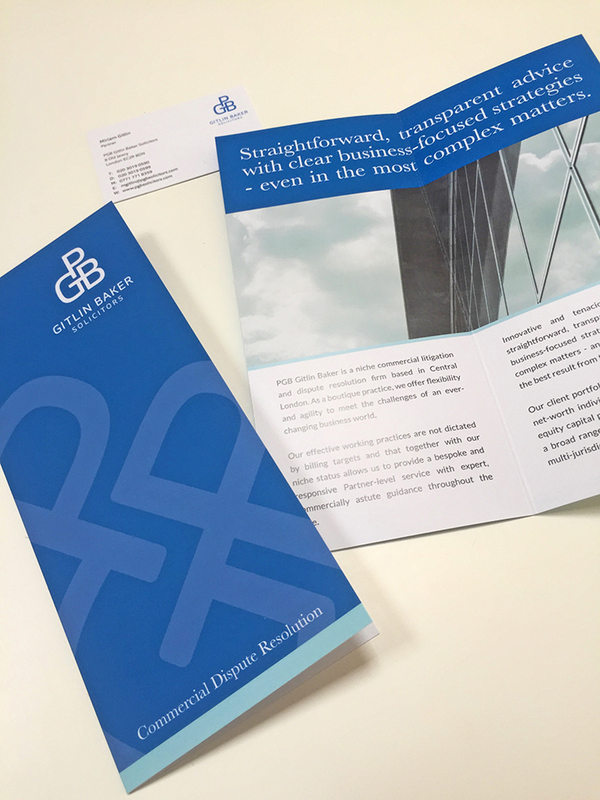 PGB Gitlin Baker Solicitors wanted a brand identity to stand out and represent their offer. They compete with large firms but have a transparent, clear and fresh approach – a personalised service, transparent billing and clear objectives for their clients. We created a brand identity to look serious, but also interesting and enticing to the target audience. The right type of attention. The logo used a monogram for a personalised, high end look with gravitas. The typography was uncomplicated, precise and yet human. Most imagery in the sector focuses on law courts or office blocks. Instead, we focused on block windows, for a feeling of space and transparency within the corporate market. Fresh colours were used for a complete brand experience. In a sector that tends to waffle and use incomprehensible language, the copy is refreshingly clear, concise and to the point. The logo is big and bold, dominating the corporate landscape which gives a sense of gravitas. The logo transparency with the clear, fresh imagery underneath communicates their offer. It feels uniquely PGB while coming across as suitably corporate and serious. The brand identity represents their proposition with gravitas and differentiation. Getting the right type of attention means looking serious doesn’t need to look boring. This project was nominated by Awwwards and featured by Creativepool.